• Strong flexible, leather upper. • Elastic already attached over instep. Also available in Children's sizes here, as well as Adult sizes here. 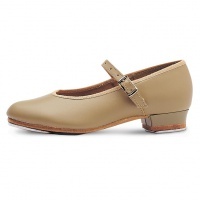 The Dansoft Toddler Ballet Slipper is available in sizes 6-6.5. Pink is available in widths A-D. Black and White are available in C width only.